I am a bit nervous as I prepare to leave the farm for 7 days so to be an active participant of the Baker Creek Heirloom Seeds Spring Planting Festival. http://www.rareseeds.com/spring-planting-festival/ It will be taking place at their Missouri headquarters on Sunday and Monday, May 3rd and 4th. Forgive the fact that I say Sat and Sunday in my video…It is Sunday and Monday, and I am a bit giddy about the whole thing. I will be giving two talks now, one on Sunday and one on Monday. I am most grateful and excited to be going. So now, aside from saying the wrong days in the video, the rest is good information, that I hope you will enjoy. How do you get ready to go especially when it is prime time to be farming here in Hawaii? Take some small, but strategic steps toward starting seedlings, so that they are ready to go upon your return. I use reclaimed basalt blocks that are cut down and soaked in water. Each will hold one squash seedling, and they will make it so that minimal disturbance to the root system will take place at transplanting. 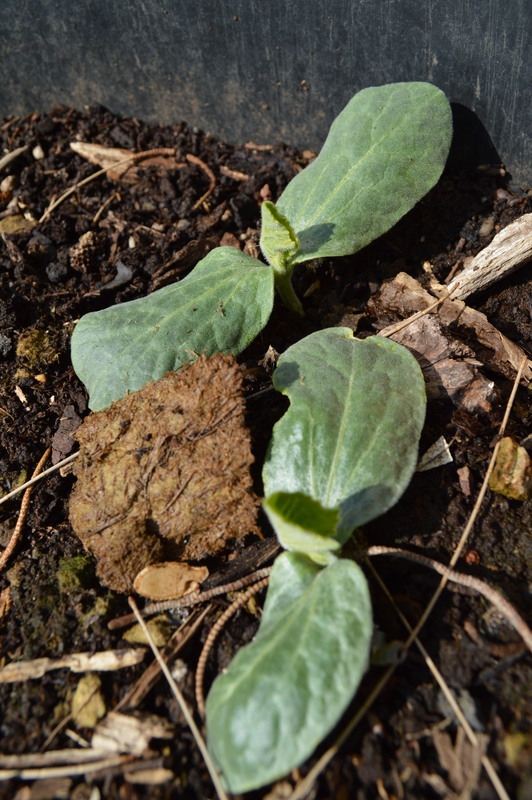 Squash generally do not like to be transplanted…so this is a real happy success to share. I have increased both productivity, and my germination speed by this method. So sit back and enjoy, and maybe I will see you on Sunday or Monday there at the Spring Planting Festival! My love of food and cultures have taken me around the world, dropping me into my current location in Hawaii. I have been loving cooking, photography, gardening, baking, and outdoor adventuring, since back when I was filling a Girl Scout sash with badges. My locations may change, and my activities continue to grow in number, but deep down inside, I still love curling up with a good book, squealing about in a classic car, and making stick-to-your-ribs meals out of homegrown goods.